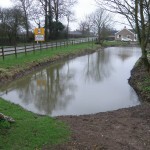 Townsend Pond or the Horse Pond as it is known in the village had reached crisis point. 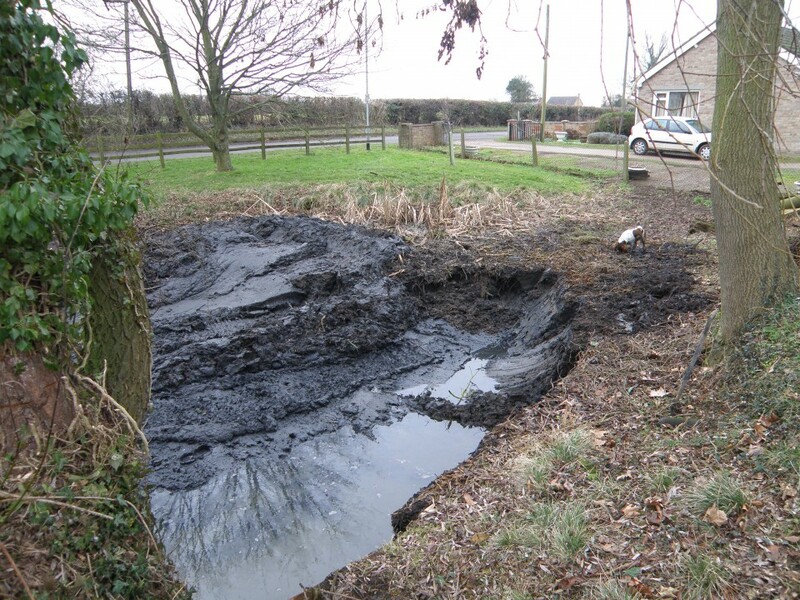 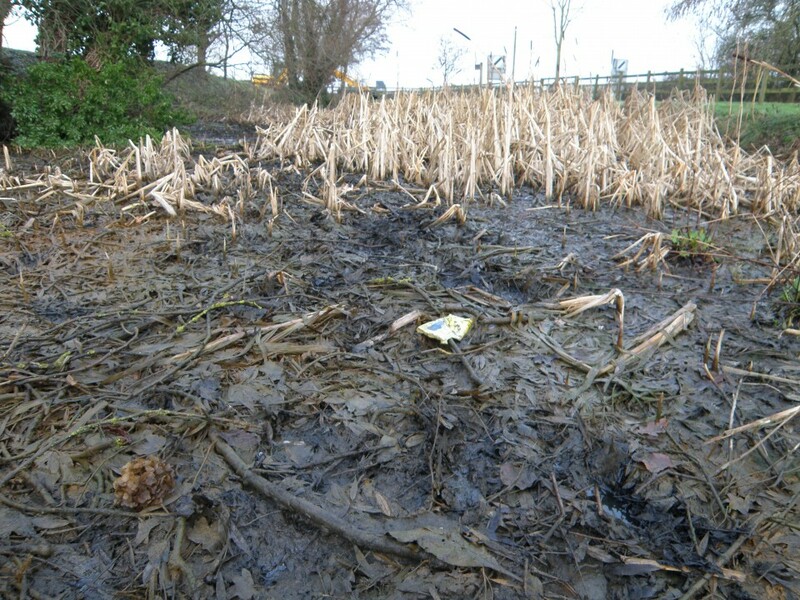 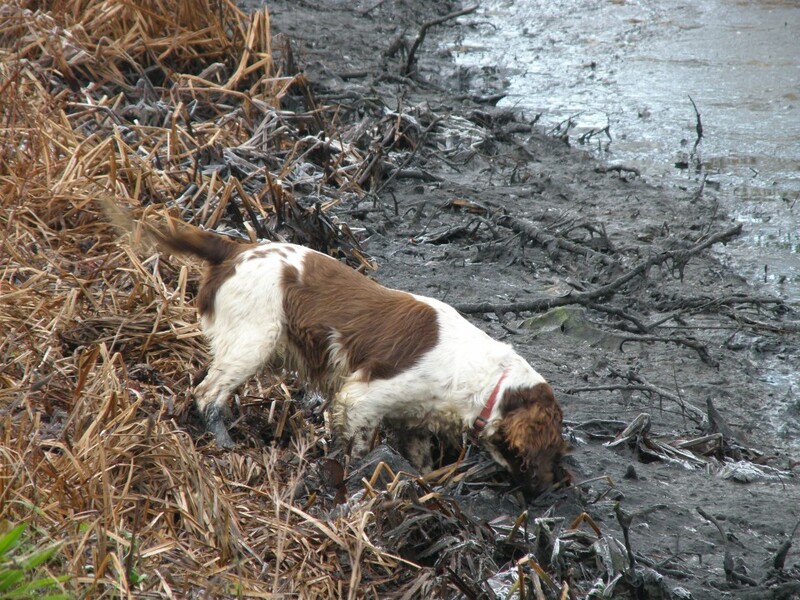 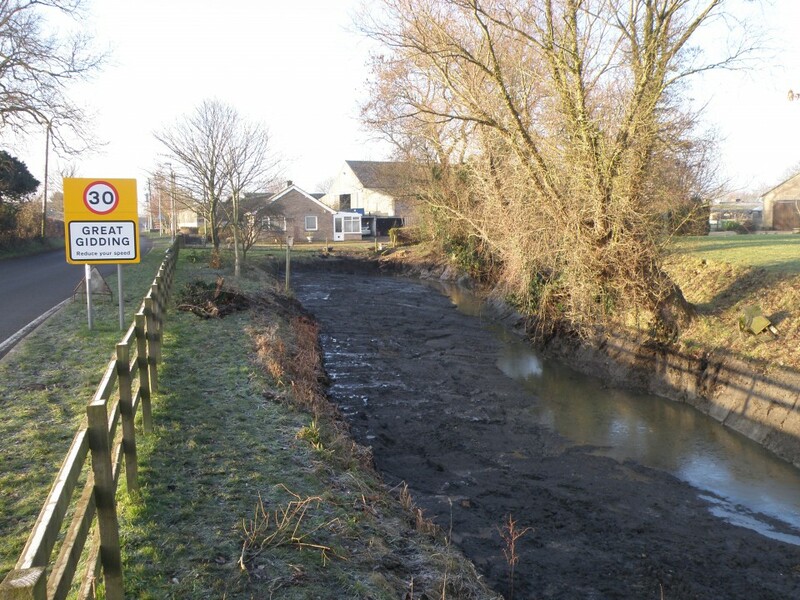 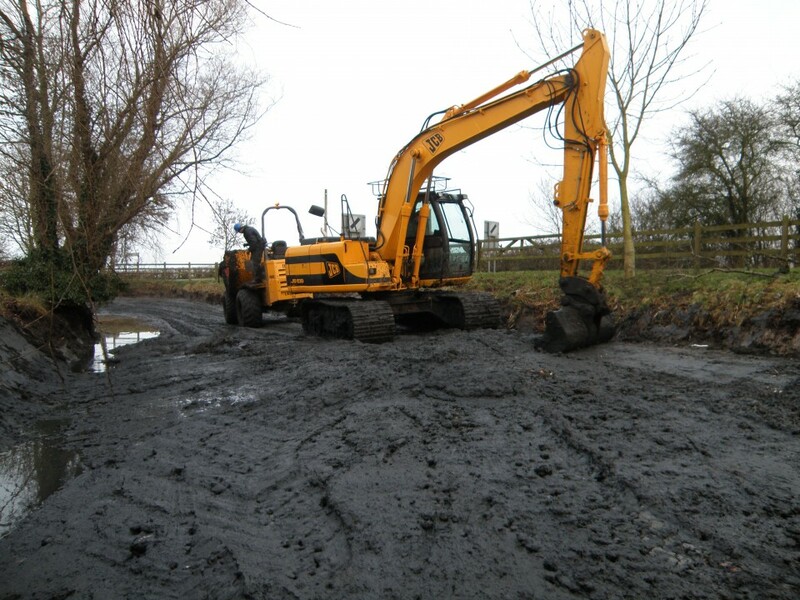 Almost completely silted up and giving off a foul smell when the water was low, it was becoming a bit of an environmental hazard. 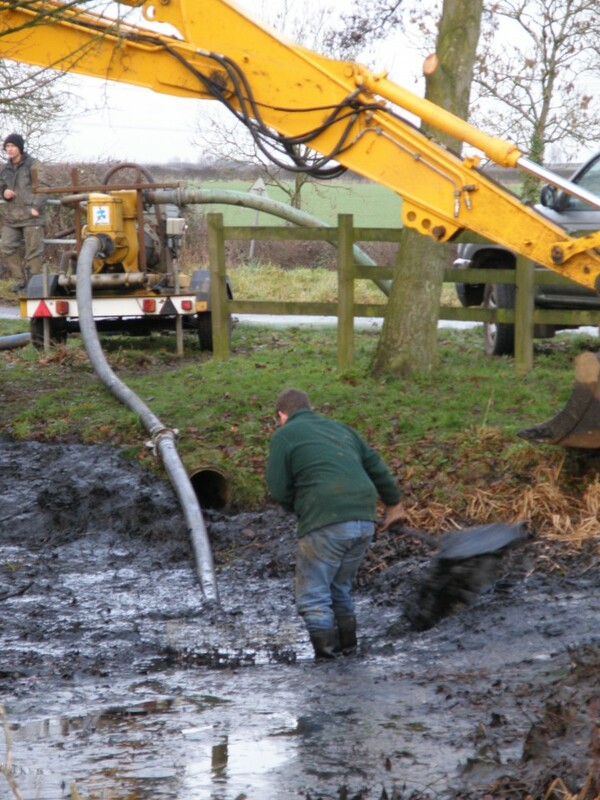 Long gone are the days when you could just get a gang organised and clear it out. 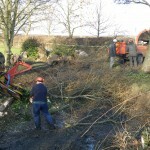 Forms have to be filled in,notifications given and other ponderous red tape hurdles jumped. 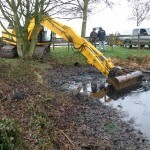 Pond cleaning comes way down the list on priorities for any level of local government or agency so step in the Bedfordshire , Cambridgeshire, Northamptonshire Wild life Trust along with some determined Parish councillor activity and you get a result courtesy of a Lottery Environmental Grant for £10,000. 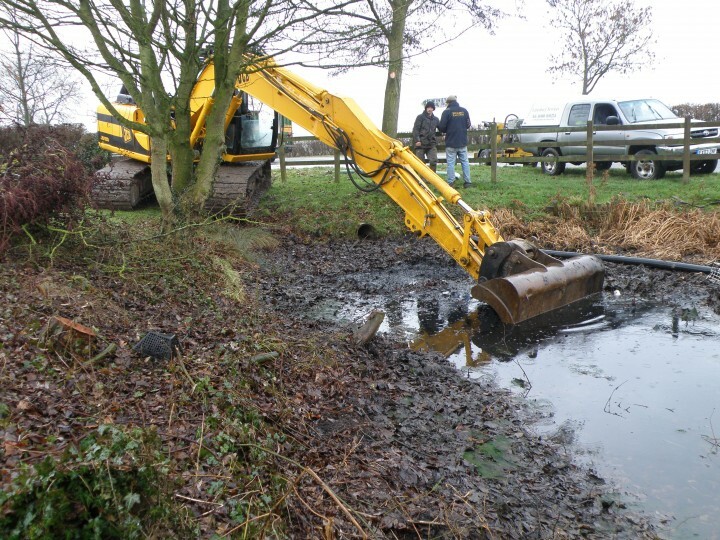 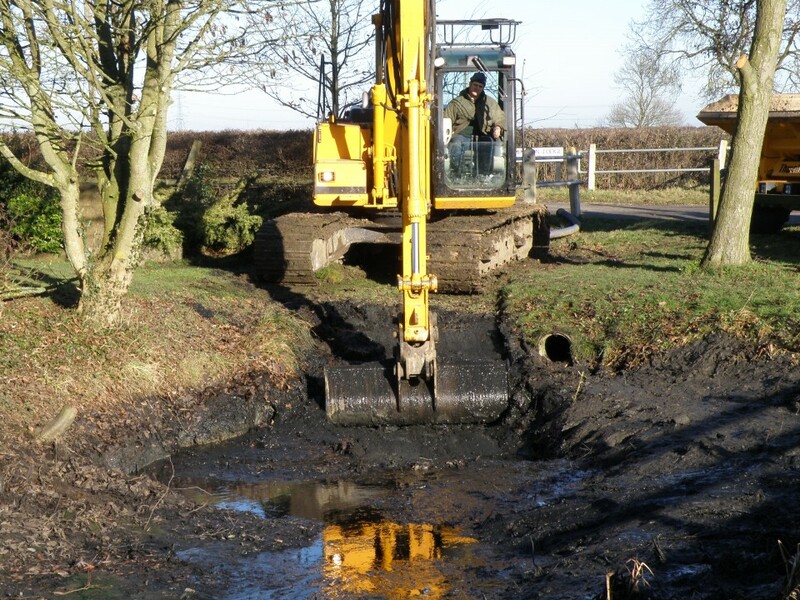 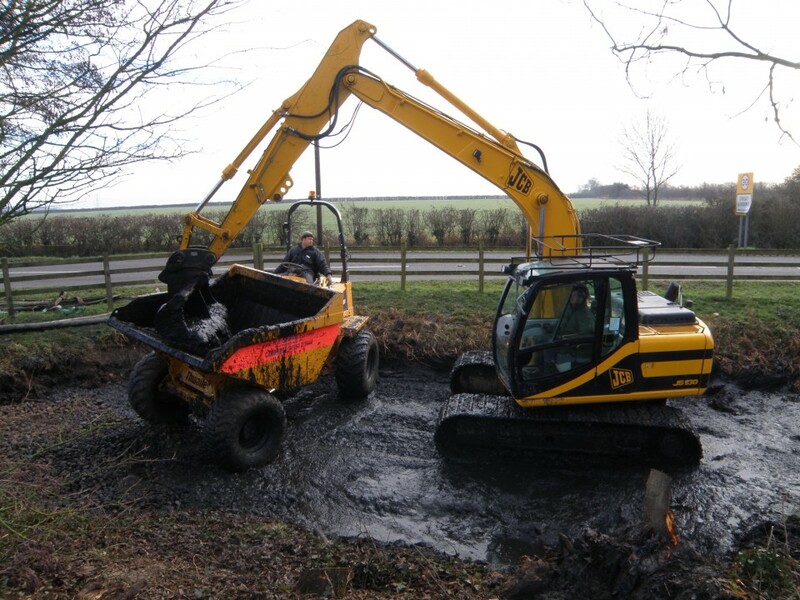 Certain criteria had to be met and managed but the result is a clean deep pond with a vibrant wildlife habitat and a viewing platform for serious pond dippers. 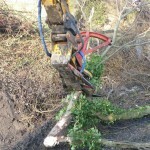 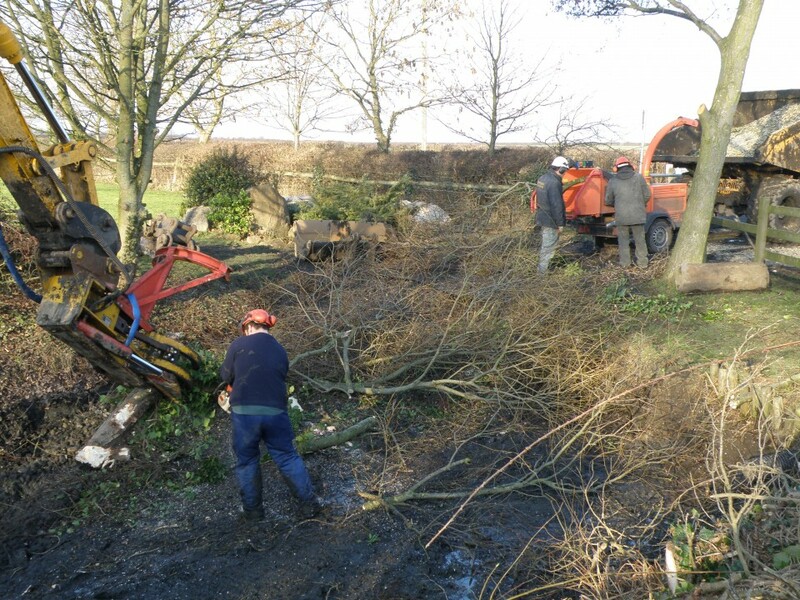 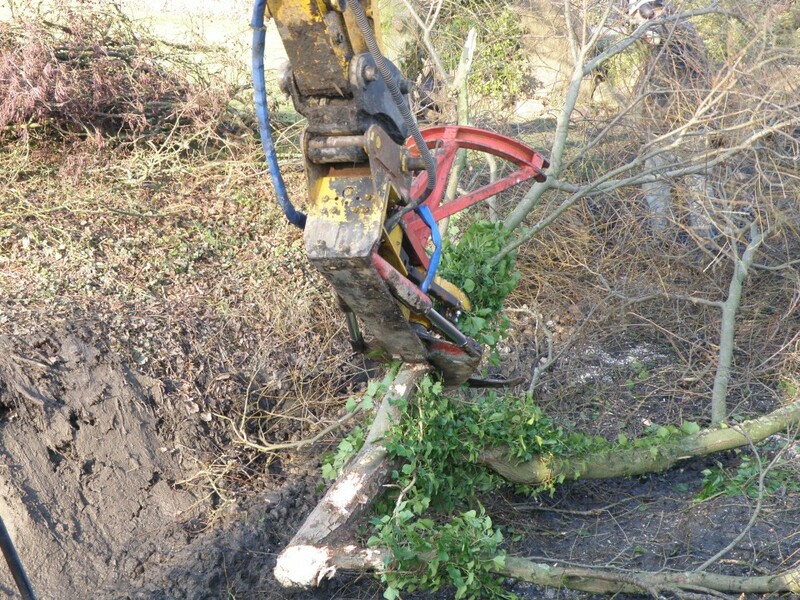 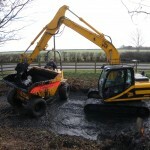 The work was carried out by Lattenbury Services who did a first class job. 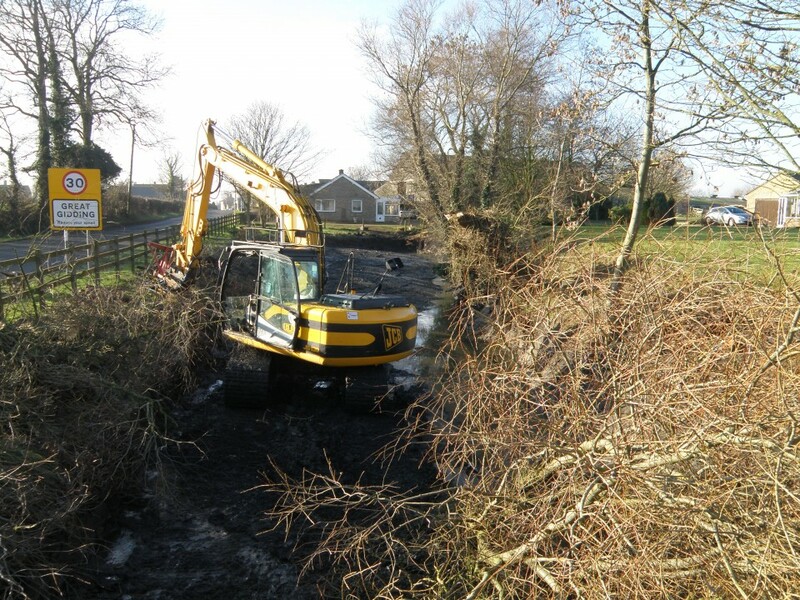 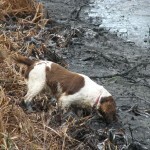 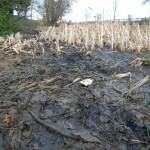 A couple of thing of particular note were the benign weather conditions in January 2011 when the project started. 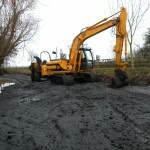 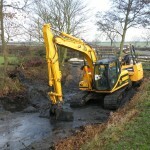 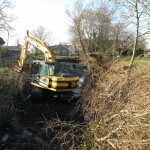 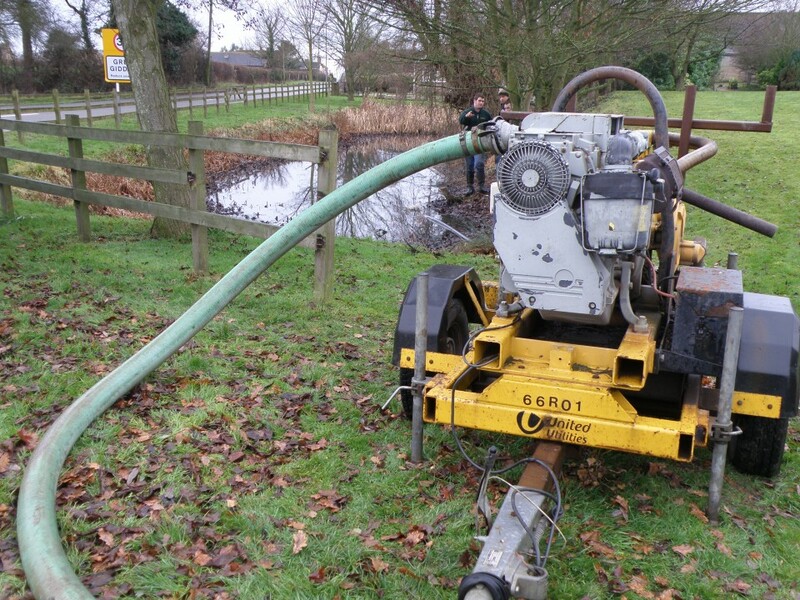 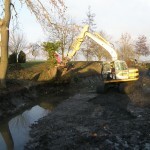 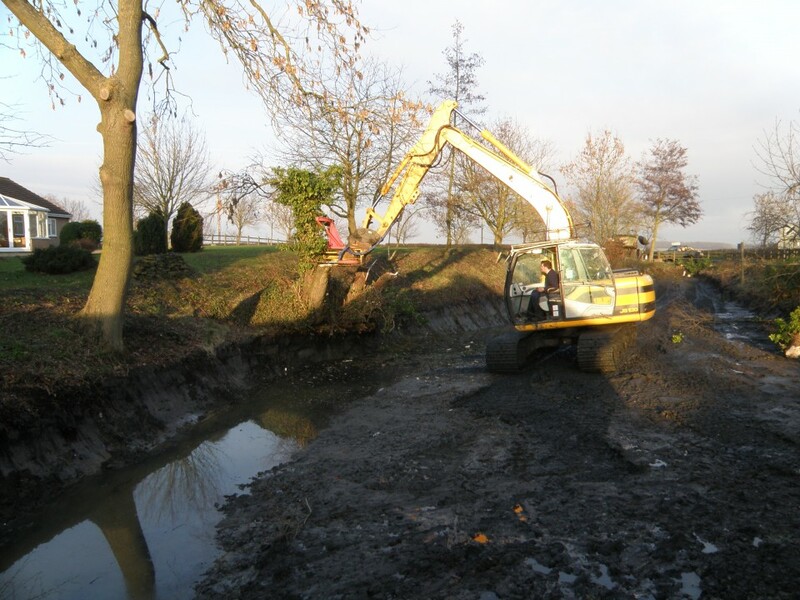 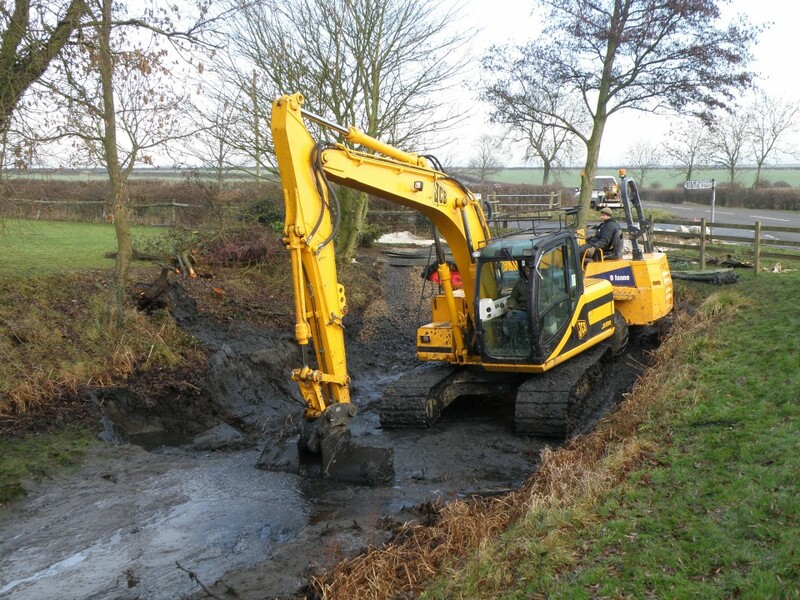 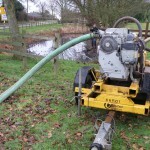 No rain, the pond already low because of previous dry weather and the sunny days whilst the work was undertaken. 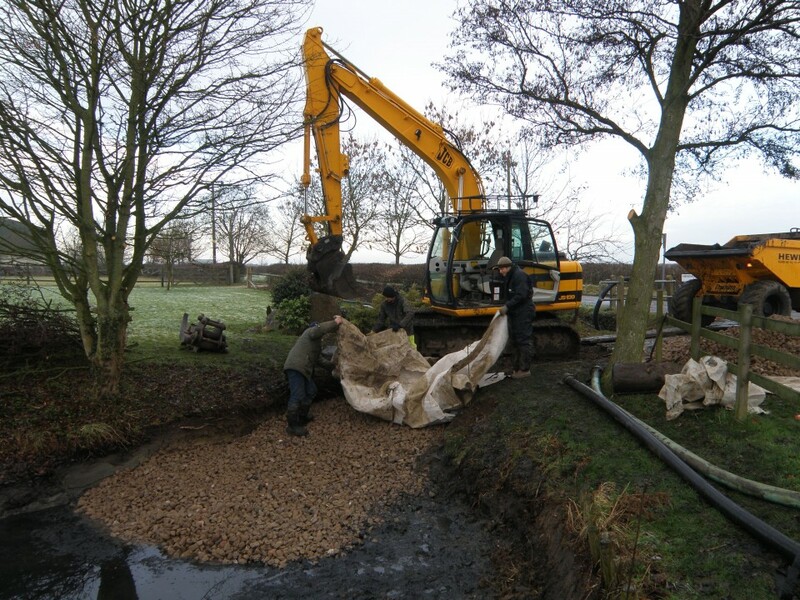 The second point was the remarkable cobble base that had been laid in previous times. 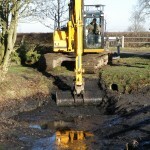 When it was done, nobody’s quite sure but it was a sturdy piece of work and the lads carrying out the work this time were careful not to break this surface. 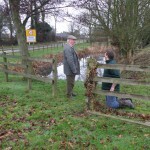 Another fact about Townsend Pond is that it used to stretch right to the road edge with a modest single rail wooden fence as the barrier. 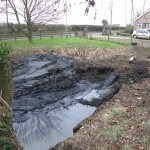 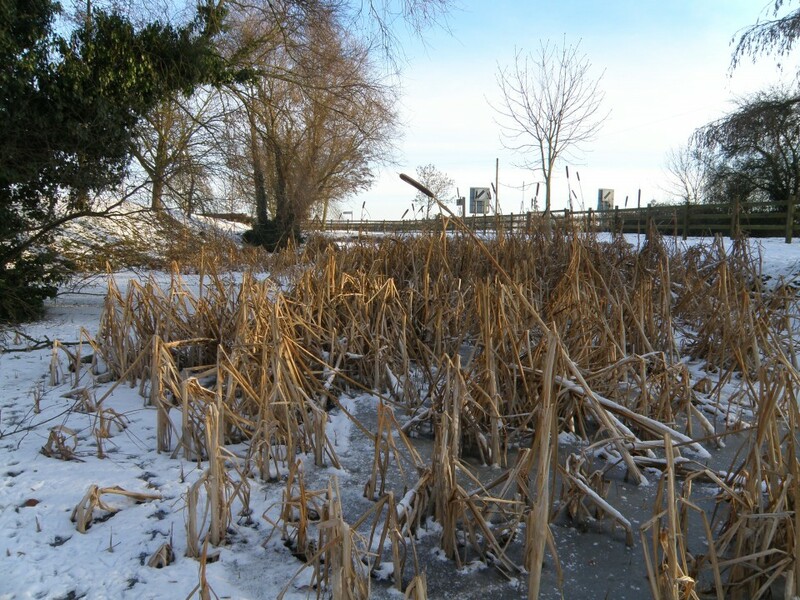 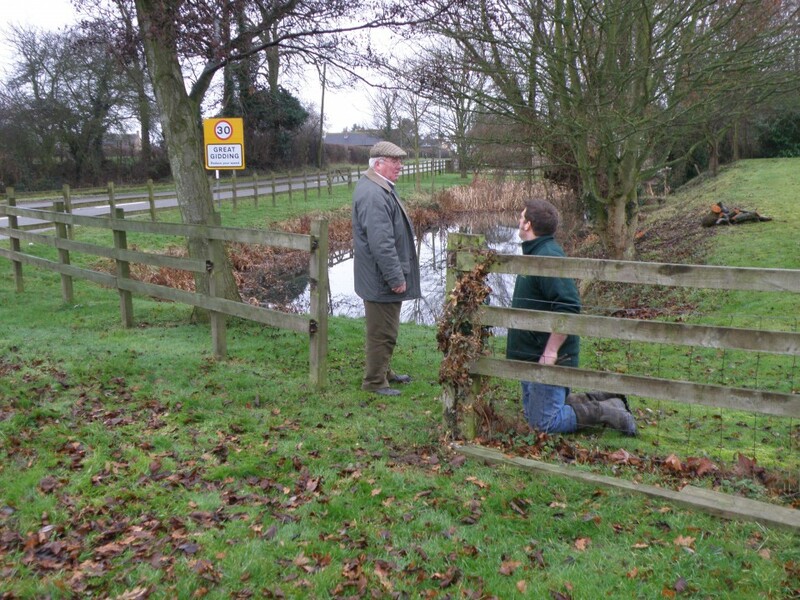 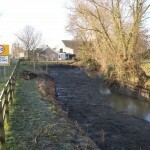 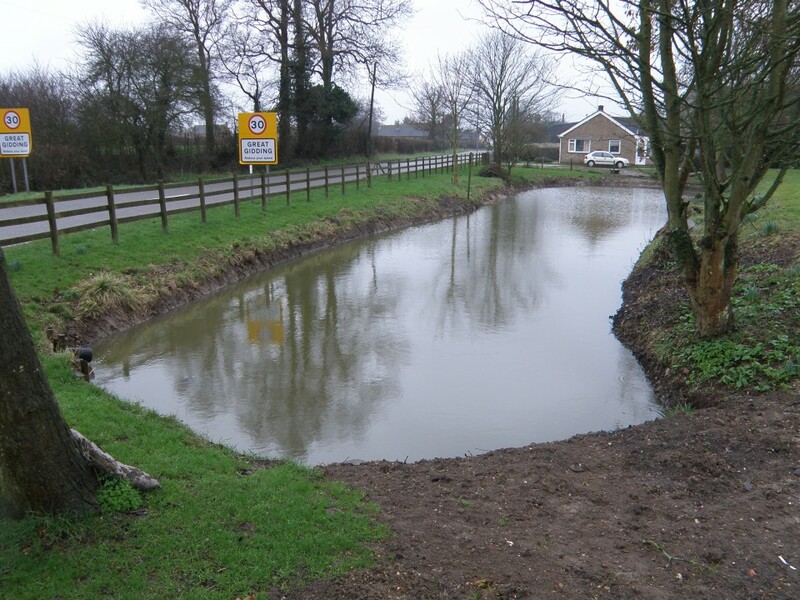 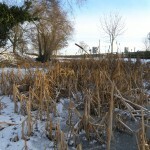 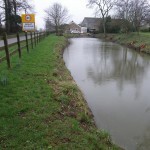 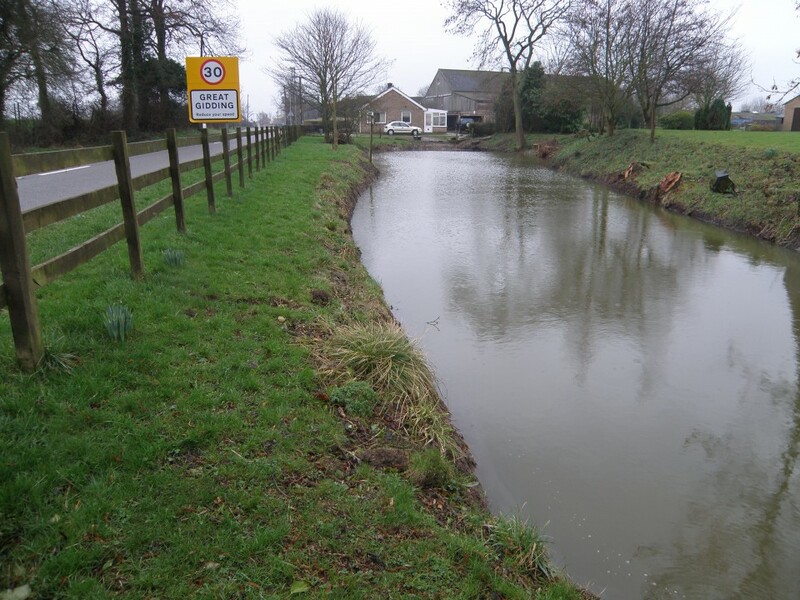 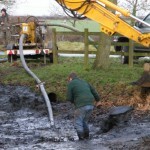 The pond was partially filled by using excavated soil when Great Gidding was put on to Mains Sewage in the late 1960’s. 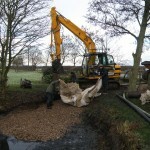 A great record of the process – thanks Michael.